This article guides you through exporting your invoices and credits notes from Operate. Your invoices and credit notes will post into Xero with an "Approved" status. 1. To start with: BACK UP XERO! Never run the export process without backing up in case you need to restore. 2. Check your current debtors balance in Xero, this is the balance that will be affected after the export. (Go to Accounts > Sales and look at the Amount Outstanding on the dashboard). 3. Check the total of your export - in Operate, go to Reports and filter for the Un-booked Invoice Summary Report. The GROSS total on this report is what you want to make a note of! 4. Login to Operate to run the export: Go to Settings > Integrations > Invoicing > Xero Export or search for Xero in the Global search box. From here, you can either install your Xero app if you haven't done so already; or open it to run the export. 5. Click on the Organization that you want to conduct the export for then on the next screen, click on the Export option. 6. Next, select whether you need to export booked or un-booked transactions. Export un-booked transactions - These transactions would not have been previously exported. Export booked transactions - WARNING: These transactions may already be exported. Exporting booked transactions may lead to duplicates in your financial accounts. The only time when you should export booked invoices is when you are importing into a new, blank database. Choose Transactions - this allows you to select one or more individual ransactions. 9. 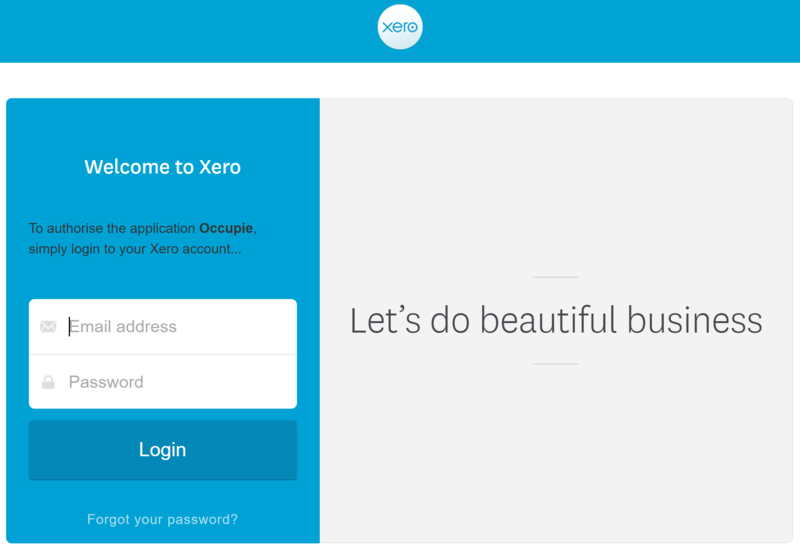 The Xero login will come up, sign into your account. 10. Click to select the correct Xero entity. 11. You will automatically be returned to Xero. Please note: The export does not allow negative balances on the same invoice. In this case the solution is to export the negative balances separately as a credit note. *Account Code must be Specified" - This means that a product doesnt have a GL code. Please see Step 3 of the export setup. Xero does not recognise a credit that is on the invoice - Xero won't accept a negative value on an invoice so this would need to be raised separately, as a credit note. *Another contact has this contact number. Please enter a different contact number." - To fix this, please ensure that the Account ID and Account Names match between Operate and Xero. If a contact is under an Account with the same Account ID, but a different name, then this error will occur. This error will also display the concerned account(s), as shown below, so you can identify it.